Press Page — Gardeny Goodness! 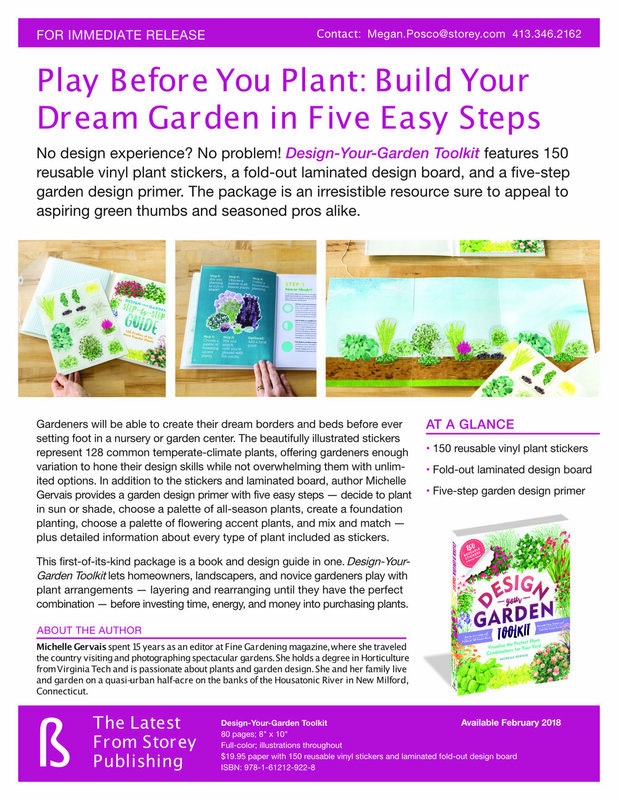 Michelle Gervais' latest book, Design-Your-Garden Toolkit is in stores now. If you can recognize a well-designed garden but need some basic skills to start building your own garden beds in interesting and beautiful ways, here's the tool you need to get started. Read up on the fundamentals of good garden design (it's not as hard as you might think), learn a simple method for creating your own design, and brows a selection of 78 reliable plants that you can find in almost any good garden center in a temperate climate. Sure, you might find newer varieties out there, but these are classics. There are a few shrubs, lots of perennials, and a handful of plants that won't be hardy in most gardens but are worth the effort to bring indoors each winter or worth the money to buy new each spring. 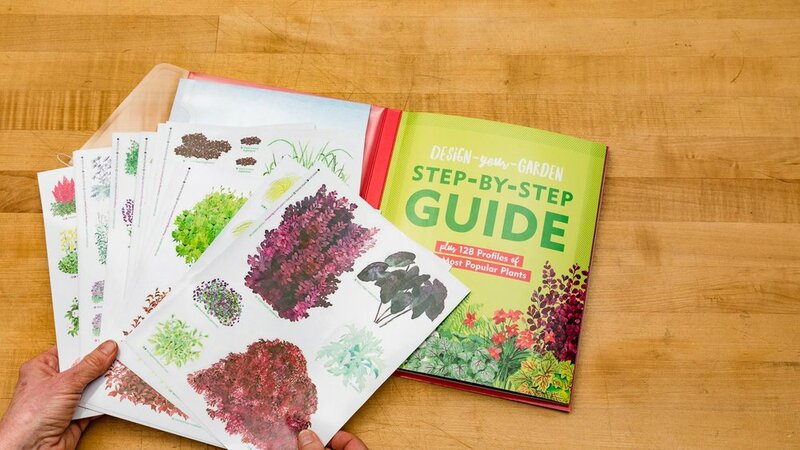 Once you've studied the basics of combining plants and browsed through the possibilities, use the stickers and the fold-out design board to create the garden(s) of your dreams. We've included different cultivars for a number of plants and multiples of many of the stickers, because sometimes you need more than one. The design board has a grid on one side and an empty garden plot on the other, to suit your working style. The stickers are proportional to each other, based on the final growth habit, but do keep in mind that plants grow! You'll need to take that into account when you actually start digging. UpCountry Magazine - How Does Your Garden Grow? "I got the book yesterday and was very happy to find out I can read it without my glasses. Lol... The stickers are a great tool and the information about design is comprehensive and easy to apply. 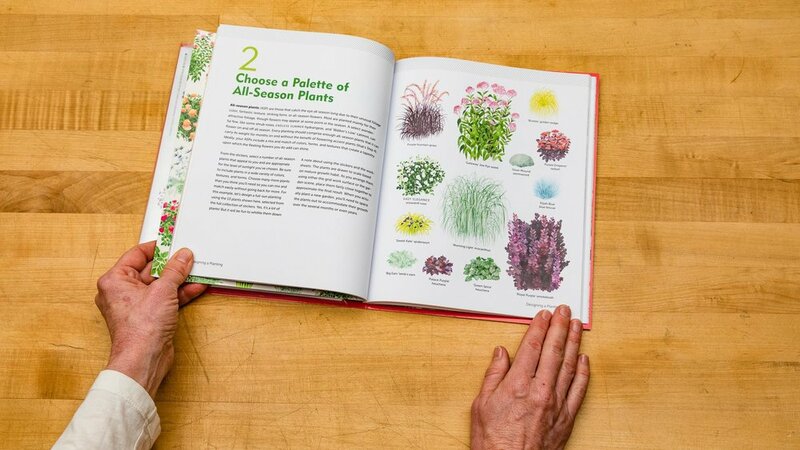 This horticulturist loves it...It's a nice tool for those beginning in the industry because you can have a visual idea [of] how the garden will look..."
I have been reading "Design Your Garden Toolkit" by Michelle Gervais this first day of spring. Oh, what fun I am having using the color form plants to design my garden!! I heartily recommend this book to anyone who has worked hard on a garden, only to have it miss the look you were going for. LOVE IT!! 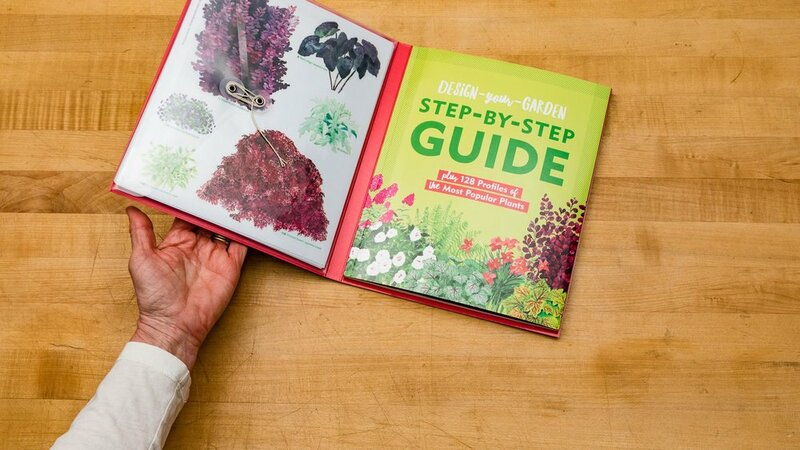 "A perfect guide for the beginning gardener. I highly recommend for anyone who wants to make their flower beds fabulous!"